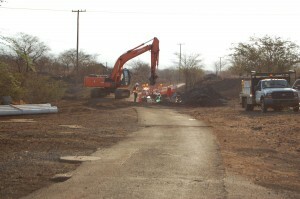 The Maui Research & Technology Park has recently completed a conversion to recycled water (R-1) for irrigation of the Park’s landscape. For the past 20 years the Park had relied on a brackish well for irrigation. When the well casing recently failed, it hastened an already planned conversion to recycled irrigation water from Kihei’s County wastewater treatment plant. The conversion will divert 35-40 million gallons a year from injection wells. Future phases of the development will have R-1 infrastructure incorporated into plans from the beginning.